These tours are usually 25 hours or less between Johannesburg and Cape Town, or Johannesburg and Durban. Premier Class. Offer private luxury compartments with luxury bedding and a private luxury bathroom per compartment. All meals are included in the rate and are served in the dining car (Drinks not included). 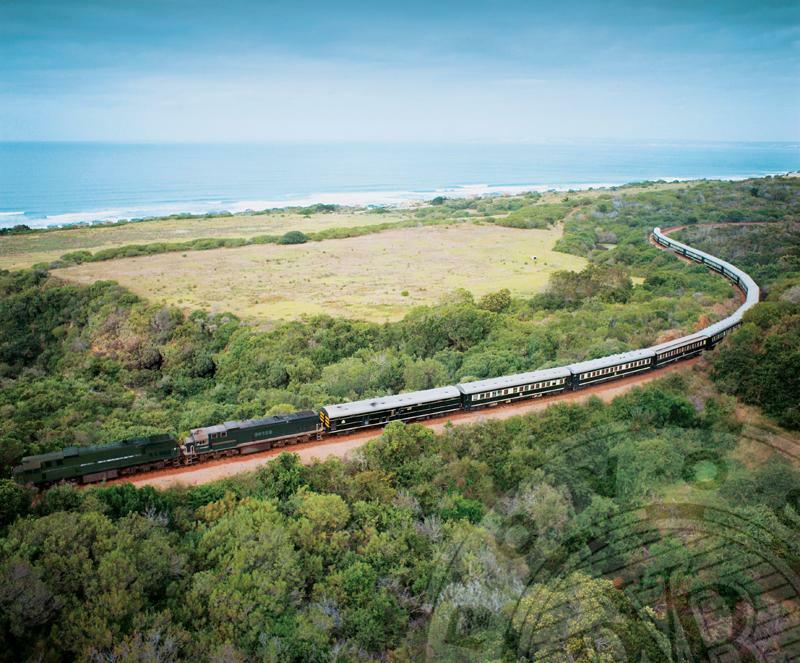 These train tours vary in length from between 2 Day and 28 Day Tours throughout Africa. Offers private luxury train accommodation in well appointed compartments or suites with luxury bedding, furniture and comfort. 5 Star meals and all drinks are included in the rate and are served in the dining car. These tours vary in length from 2 Days, 4 Days, 7 Day or 28 Day Tours through the length and breadth of Africa. We stock both Blue Train and Rovos Tours.